People who are depressed usually have a more difficult time around Christmas and New Year. ‘These are holidays that focus on getting together and having a good time. If you are unable to feel good under such circumstances it can be quite confronting.’ People also tend to take stock in the new year – what have I done and where am I headed? Bockting: ‘If you do so while you’re convinced that you’re not doing well, this can magnify the sombreness. People suffering depression often view life as one long experience of failure. They feel that they’re inadequate in every area life has to offer. These sorts of messages can give them the feeling that it’s their own fault they’re not able to deal with their depression, or that of course they’ll never get over it. This raises the barrier to seeking help even more.’ This is most certainly the case if people in their environment consider depression to be no more than a black mood. Prof. Claudi Bockting (1969, Silvolde) studied psychology at the University of Amsterdam and now works as an associate professor in clinical psychology at the University of Groningen. 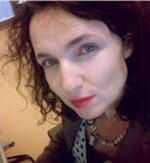 Her research concentrates on psychological intervention methods for chronic and recurring disorders, including interventions that reduce the chances of depression relapses (see www.doorbreek-depressie.nl ). She also works as a clinical psychologist for a mental healthcare institution.